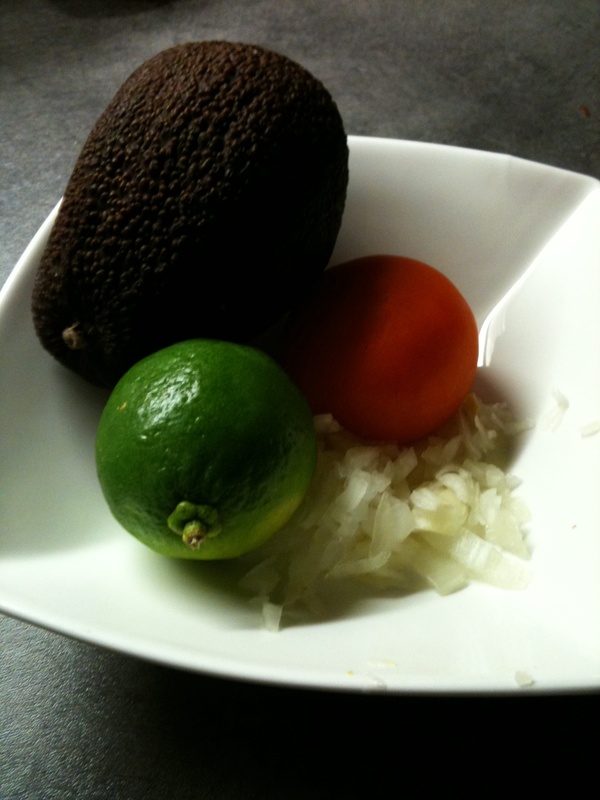 In the ancient Mexican language, Náhuatl, Ahuacamolli means ‘avocado salsa’ [‘ahuaca’ – avocado / ‘molli’ – salsa/sauce] Until today this recipe is a classic as it adds a lot to a taco, salad or any other dish this is why I wanted this recipe to be the very first one in this blog because you will be able to prepare and eat it in only a few minutes and hopefully remember it for years. I have listed them in order of preference, Tesco seems to have avocados that are suitable for guacamole more often than other places. My definition of ‘suitable’ in this case is that the avocado is black or purplish; your finger should sink nicely in it, not too soft, not too hard and in terms of taste, the closest taste to Mexican Hass avocado are the ones that come from Peru. Suitable avocado, onion, tomato, and lime. So the recipe goes like this – Get a bowl and mix in this order: chopped onion, then mash the avocado, add salt (and chicken stock, if you went for that option; this option is not suitable for vegetarians) and gently mix. After that, add the lime juice and the tomato and mix again. 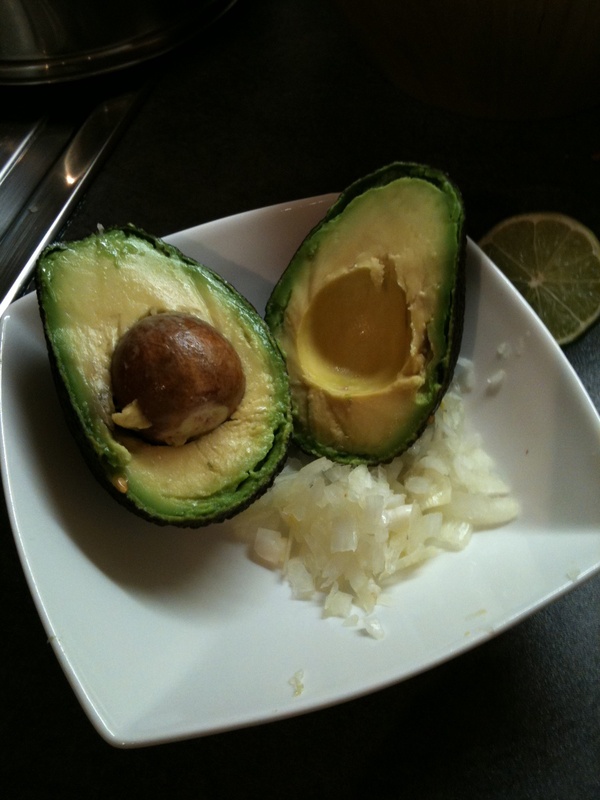 This is how a nice avocado should look like. Mashed avocado, onion and salt/chicken stock. 1. 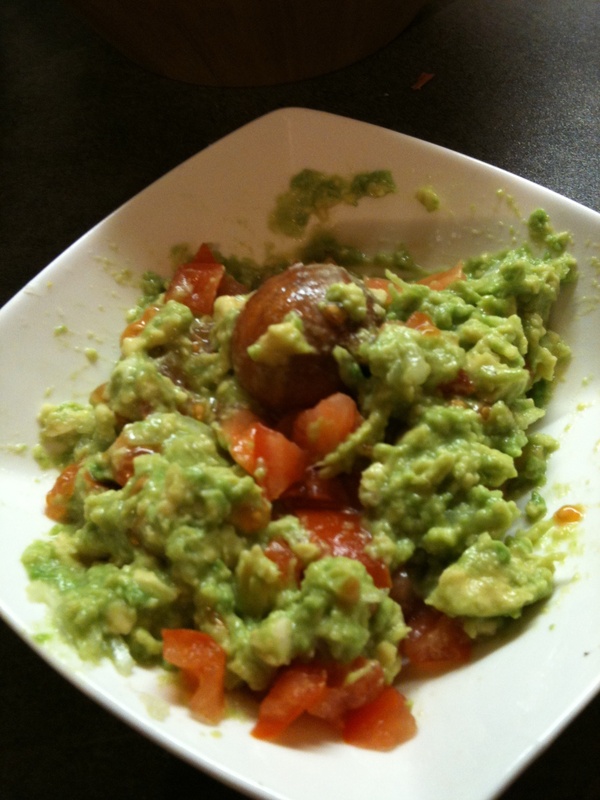 If you are not going to eat it immediately after preparing, simply make sure to add some lime juice on top to prevent that the guacamole turns dark. 2. 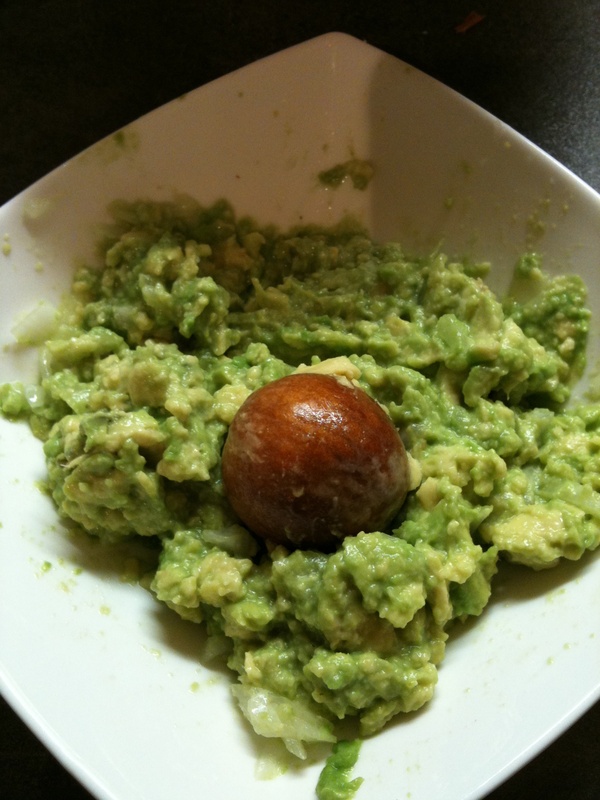 Always keep the avocado seed and add it to your guacamole at the very end, this will add a nice touch and it is a belief in Mexico that the guacamole will be preserved green for longer as the seed is he heart of the avocado. My suggestion? 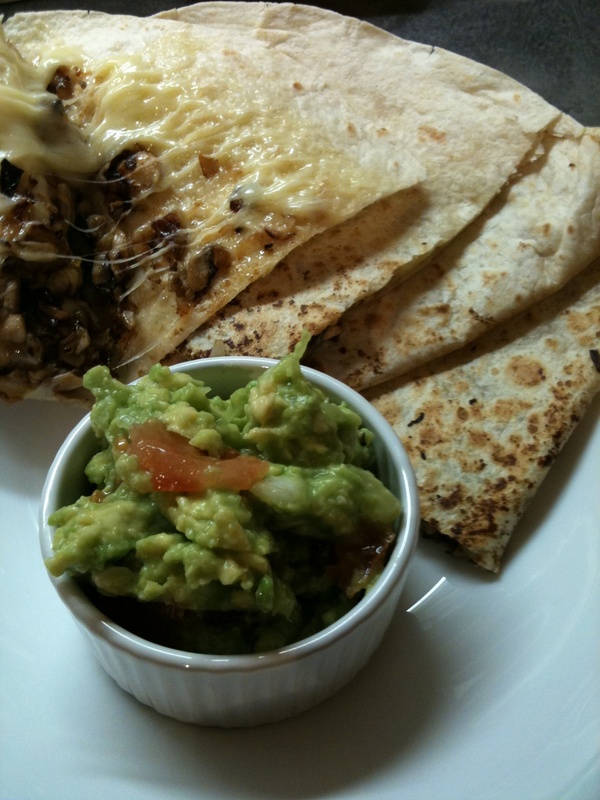 – Quesadillas with guacamole, make a great light supper. A healthier option for those on diets: guacamole on Ryvita bread. It is also great for parties, simply buy lightly salted tortilla chips (Marks & Spencer sells good ones) and leave the rest to your guests. Take me to Mexican Heaven! Just click here and I'll ensure you get every post straight in your inbox.